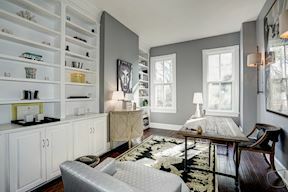 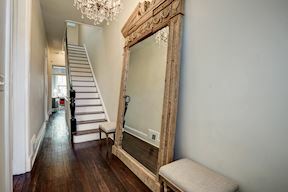 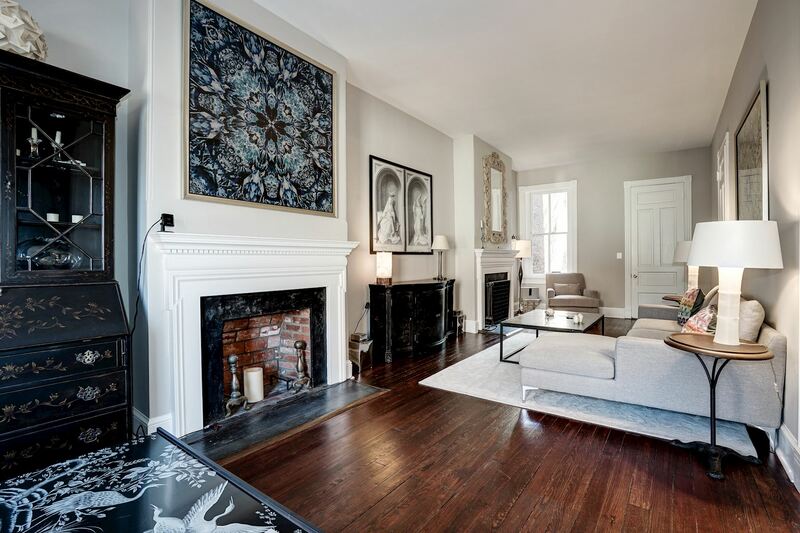 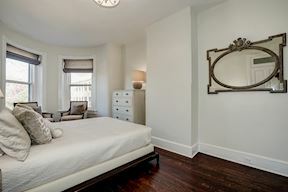 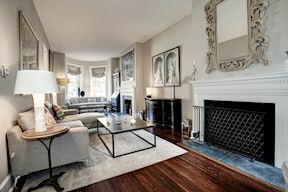 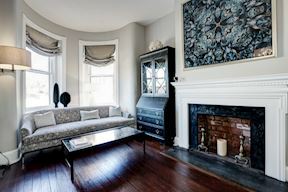 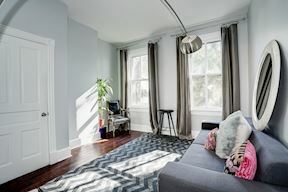 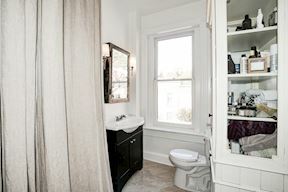 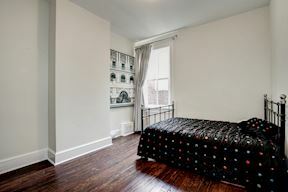 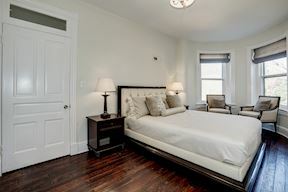 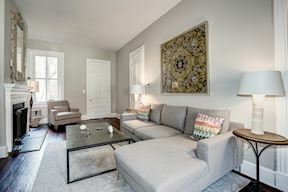 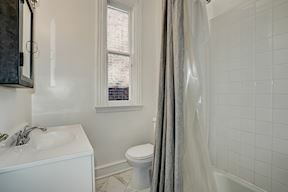 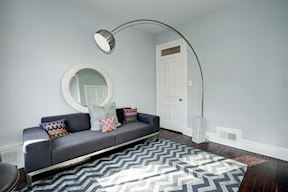 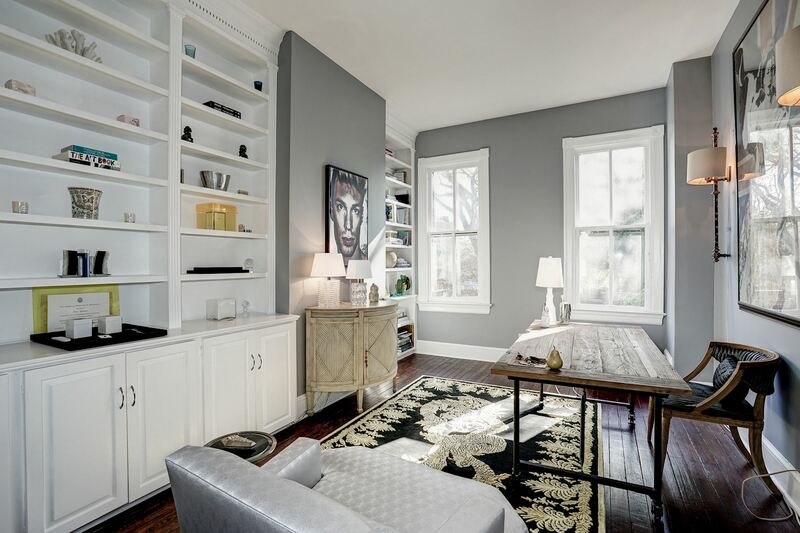 Charming recently updated East Village Georgetown Victorian row house with 3 bedrooms & 2.5 Baths on three floors. The main level offers soaring ceilings, a beautiful entrance foyer, double drawing room with 2 matching wood burning fireplaces, large bay windows, a handsome Library with built-in bookcases, and a coat closet. 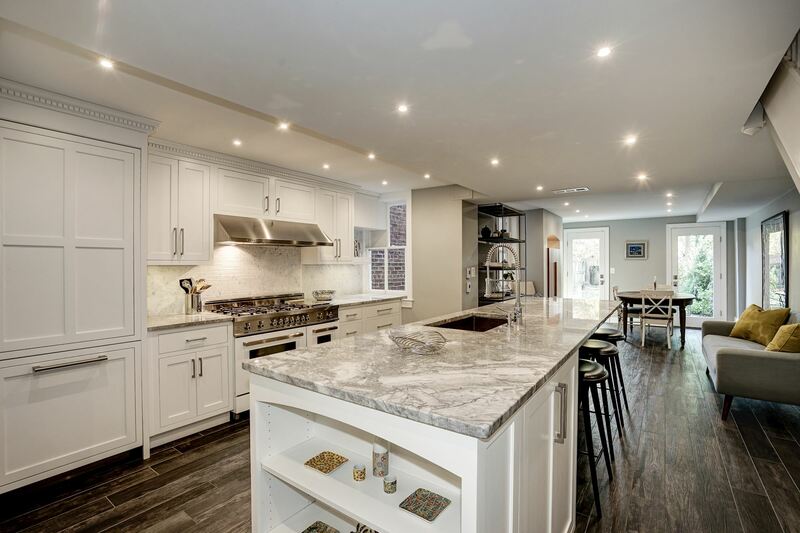 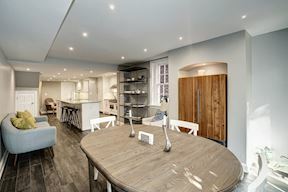 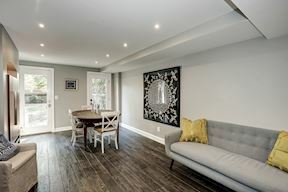 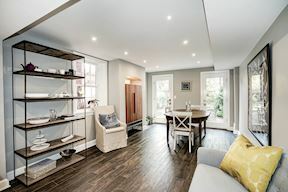 The full English basement with front and rear egress offers gorgeous new kitchen, dining area that leads to fully fenced garden, half bath, and ample storage. 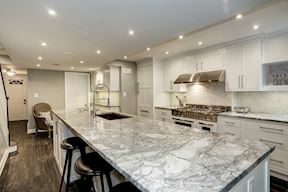 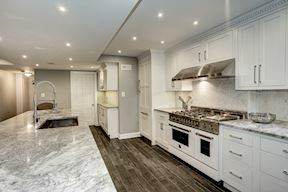 The gourmet kitchen features custom maple cabinetry, Thermador refrigerator with icemaker, Bertazzoni professional 6-burner gas stove with gridle & double oven, polished natural quartzite countertops, Carrera marble black splash, Blanco faucets, porcelain tile heated floor, & recessed lighting. 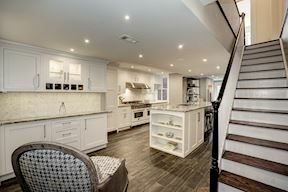 The residence is completed by three bedrooms, 2 full baths upstairs. 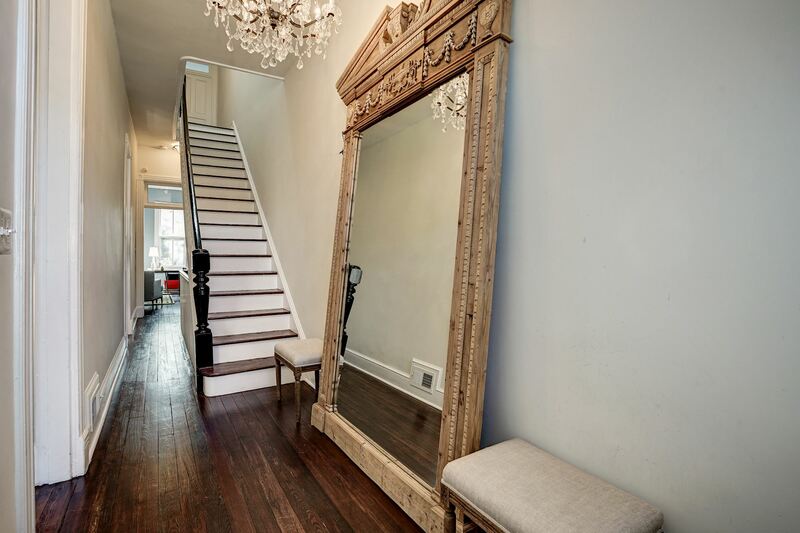 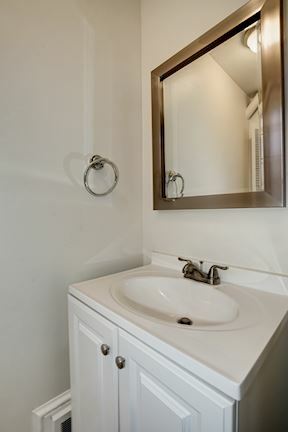 Beautiful hardwood floors run throughout the house, including all three bedrooms. 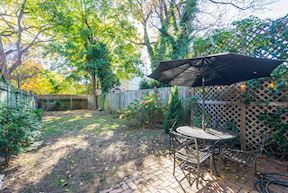 Close to all the shops and dining on Wisconsin Avenue and walking distance to M Street. 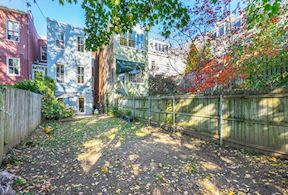 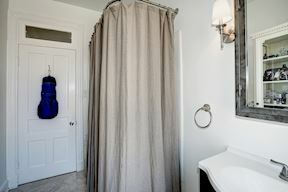 Easy access to downtown D.C., Montrose Park, Rock Creek park, Reagan National Airport, and Kennedy Center. 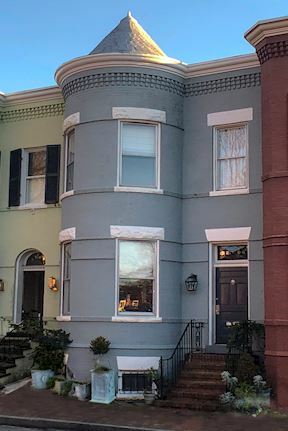 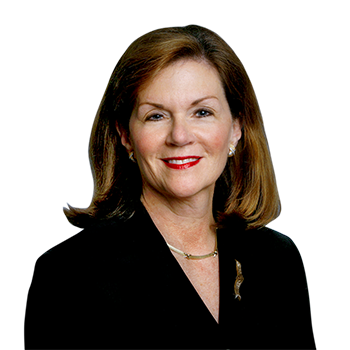 LICENSED IN: District of Columbia Maryland MARKET/NEIGHBORHOODS SERVED: District of Columbia: Upper Northwest, Cleveland Park, Garfield, Woodley, Dupont and Chevy Chase Maryland: Bethesda, Rockville and Potomac PROFESSIONAL EXPERIENCE: Clare has been a full-time real estate agent for 19 years.